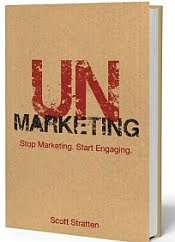 Unmarketing by Scott Stratten – Adventures in Networking! 2. WHY care and engage in 2.0 networking online or off? A tiny bonus for much of my personal network, the author lives in Toronto Canada and rather than all the New York, San Fran, LA references of my favourite authors he cites examples I can totally relate to. I don’t know why but he has a couple mentions about how to market and network for artists scattered around the book, it’s a hard market and I found the stories and examples fascinating. Very business applicable. I love that he doesn’t focus on one medium for social media, this is a lesson in 2.0 engagement that goes far beyond JUST Twitter. I got GOOSEBUMPS reading the chapter “Twitter Vs. Facebook Vs. LinkedIn” and truly appreciated that he cites the good, bad and tips for using each. Me personally, I totally back Darkhorse Coffee and think the author missed their point. Jerks with laptops terrorize the coffee shop business and I for one applaud any business who stands up to them. with new zones for networking, working and socializing – genius! 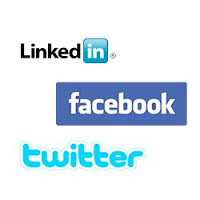 Are you doing a talk on social media? Discussion of how to use newsletters and the power of pull in 2011 was brilliant and so helpful to much of the business my network engages in for both nonprofit and seeking profit. I shudder to see that he nailed the marketing essence of the coffee war in Canada, my family and network went through the same experience. I would love to hear from others who read the book if they agree. His story of why YouTube is NOT NOT NOT the place to go viral is a fascinating business case study, along with his personal story of botched internet stardom is what makes this book a must read. Also of high value a powerful story, study and recommendations for booth-dwellers at conferences! If you’re an avid exhibitor, get this book. Lastly, people think that I, as someone who lives and breathes networking is all about face to face events. But I totally agree with the author that 90%+ are terrible and he outlines the people to avoid at them. 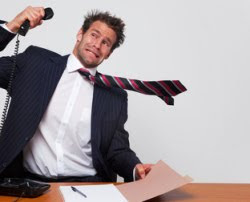 Never cold call, never cold network, never go to an event cold. Stay warm and succeed! This book is something anyone who is curious about what 3-dimensional marketing looks like in 2011. And if you want to succeed in 2012? Get it. Period. A comment after the fact/due date/date of blog – As always Paul your blogs are so rich in information – anytime. And most importantly your blogs are ALWAYS an INSPIRATION. Signed – a former colleague who is worn down and out sick. Being able to work with you and continue networking with you as your career/passion soars is a lifeline when 'work' goes bad.